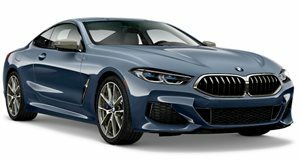 If you have the means to buy a grand tourer of the caliber of the new BMW 8 Series, chances are you're not going to toss any old Samsonite or American Tourister luggage in the trunk. No, you're going to want a fitted set of leather bags. And that's just what the Bavarian automaker has released for its new flagship coupe. Rather than going it alone, though, BMW has contracted Montblanc to craft this set. That's right, the same German purveyor of high-end writing instruments. And their collaboration looks suitably upscale. The collection includes all the usual suspects, like a duffel bag, fold-over suit bag, and briefcase. But it also features a custom guitar bag and a surf bag (evidently made for surfing clothes and accessories, not the board itself). Well-to-do buyers will be able to choose between perforated black or red leather (with black trim). But only 15 sets will be made available at BMW Welt, the automaker's showroom in Munich. And as you might have guessed, they won't go for cheap: €14,900 is the asking price, or about $16,900 in equivalent US dollars. That may seem like a lot for a set of luggage. And for most of us, it would be. But it wouldn't likely deter someone already shelling out $112k for a new M850i xDrive. This isn't the first time BMW and Montblanc have collaborated in this fashion. They previously did a similar set for the 7 Series sedan, a range of accessories for the 5 Series, and a smattering of pens and sundry leather goods offered through the BMW Lifestyle catalog.